Organic farming also uses pesticides and fungicides to prevent damage of crops. Organic farming is considered unique because of the origin of the pesticides used. Organic pesticides are derived from natural sources and processed lightly before use. Most people believe that organic farming produces more nutritious food because it does not use manufactured chemicals or genetically modified organisms. However, there is no evidence that organic foods are in any way healthier than non-organic ones. The nutritional value remains the same for both. Organic farming practices use less synthetic pesticides which have been found to be ecologically damaging, but factory organic farms use their own form chemicals that are still ecologically damaging. 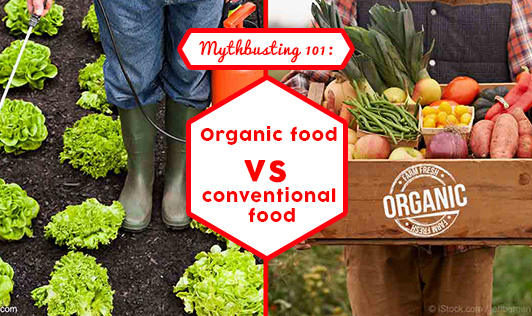 While some say organic food tastes better, most people cannot tell the difference between organic and conventional food. Thus there is no conclusive evidence that they are better tasting. Organic farming does have many potential upsides, and may indeed be the better way to go in the long run, but it really depends on technology and what we discover and learn in the future. Until organic farming can produce crops on par in terms of volume with conventional methods, it cannot be considered a viable option for the majority of the world. Nutritionally, organic food is more like a brand name or luxury item.